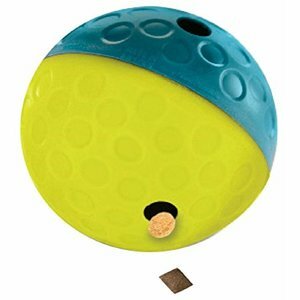 This is an interactive game, you hide some treats for the dog in this cheerful ball with which the dog is stimulated during play and then rewarded. 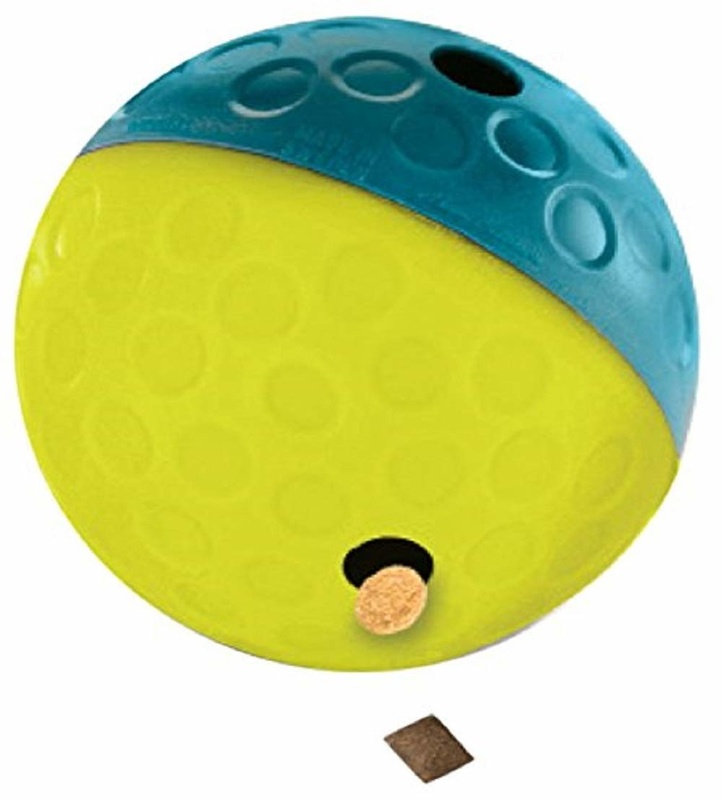 With this interactive dog toy you prevent boredom of the dog! This dog puzzle is a game for all dogs, regardless of their age, size or breed. They will have fun every time with this puzzle. 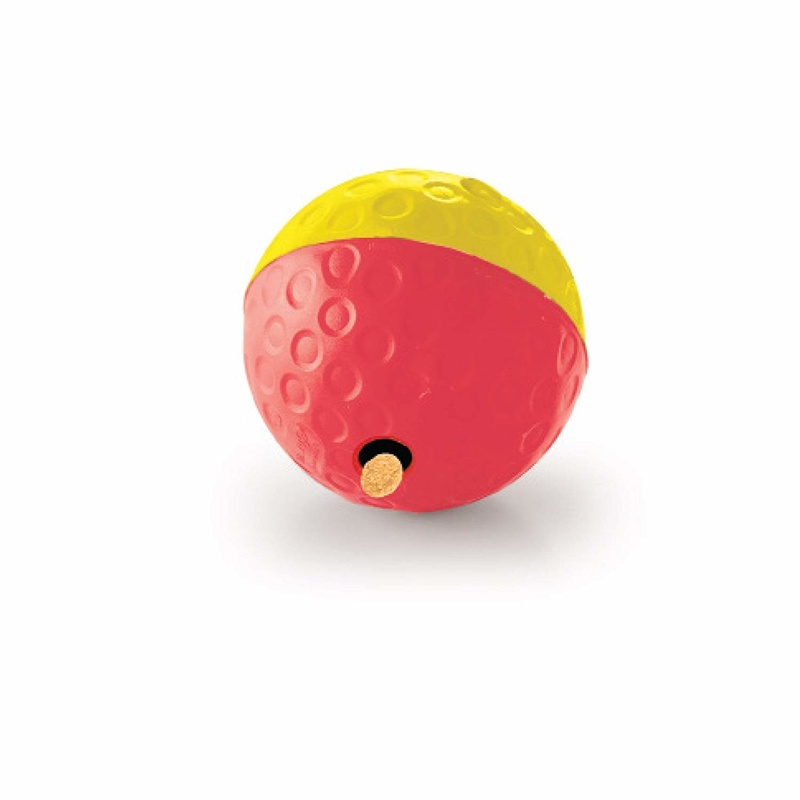 You hide some snacks or crumble some food in this cheerful ball and set the ball in motion. You can use this interactive dog toy both indoors and outdoors. This dog puzzle is a level 1 puzzle and ideally suited to introduce your dog to puzzles and interactive toys. The Nina Ottosson dog puzzles are aimed at challenging your dog's brain. Supervise while playing and do not allow the dog to chew the toy. Teach the dog how to use the puzzle to play and to have fun together. Put the puzzle away after playing until the next time, so that the dog will be very excited to play with it next time. The puzzle is made of recycled plastic and is easy to clean: remove all sweets / chunks and clean it with a hand wash with warm soapy water, rinse it clean and dry it. • Prevent boredom by keeping your dog busy. • Help reduce destructive behavior by exercising your dog's mind. • Provide pleasure for all dogs - regardless of age and height. Small - diameter 10.5 cm. Large - diameter 13 cm.